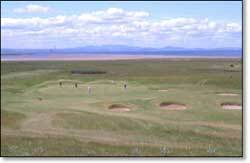 Like the #1 course, Gullane #2 is a well-maintained layout known for its fast greens and scenic vistas. 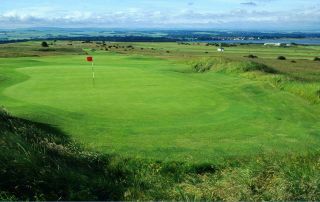 Gullane #2 begins along Gullane #1, then runs down to a nature reserve on Aberlady Bay, and returns back uphill to the clubhouse. 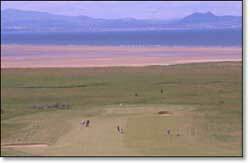 The course is slightly shorter than Gullane #1, but has thick rough and many pot bunkers to challenge even the best players.